DARCI BRAHMA (NZ) (Bay 2002-Stud 2007). 10 wins-4 at 2, New Zealand Two Thousand Guineas, Gr.1. Leading NZ Sire of 3YOs 2015-16. Sire of 520 rnrs, 358 wnrs, 34 SW, inc. Julinsky Prince (WRC Windsor Park P., Gr.1), Nashville, Recite, Risque, Artistic, Irish Fling, D B Pin, Gust of Wind, Rasa Lila, Hello It's Me, Leading Role, Valbuena, No More Tears, Darci be Good, Malandrino - Best Show (H.K. ), Super Easy, Alibi, Windborne, Darscape Princess, etc. Broadwalk (g. by Casino Prince). 5 wins at 1600m, Hawkes Bay New Year H., Manawatu RC Beer Barrel H., 2d Hawkes Bay Stella Artois H., 3d Wairoa Cup, Hawke's Bay Cup Prelude H., Manawatu RC Speight's Ale House H.
Sou'east (f. by Southern Image). 4 wins from 1550m to 2500m, Hawkes Bay Dundeel All Aged Salver H., Stella Artois H., WRC Christmas at the Races H., 3d Hawkes Bay Bedpost Hastings H., Wanganui JC Coro Angel Syndicate H.
ZACIELO (Zabeel). 7 wins from 1400m to 2400m, A$351,725, TRC Hobart Cup, Gr.3, TTC Launceston Cup, Gr.3, MRC Robert Taranto H., Always Welcome H., 3d MRC Future H.
Ottimo. 6 wins at 1650m, HK$3,849,500, HKJC Lei Yue Mun H., Heung Yip H., Tsui Man H., Peng Chau H., Tsung Pak Long H., Hong Kong Trail H., 2d HKJC Forfar H., High Island H., Longchamp Racecourse H., 3d HKJC Flamingo H., Harbour View H., French Racing H.
Our Foxy Lady. 2 wins at 1200m, 1400m, 3d BOP RC Bethlehem Motor Inn H.
Roxanne of Sydney. 2 wins at 1400m, 1600m, 3d MRC Lisa Clarence H.
Tannhauser. 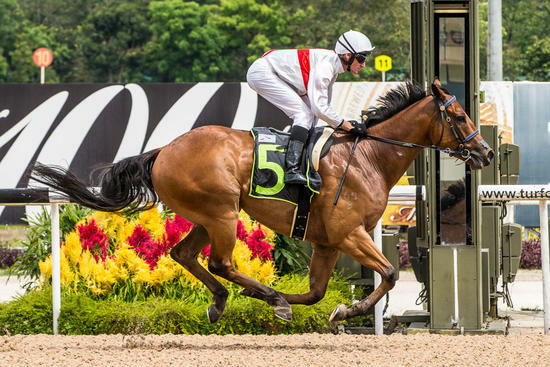 5 wins to 1200m, S$224,234, to 2018, Singapore TC Class 2 H., Australian Turf Club Trophy, Class 3 H., Novice S.
Keeping Score. 5 wins from 1400m to 2050m, A$153,097, MVRC Spotlight H., 2d MRC Journal H., MVRC LHMU H., Legends After the Last H., 3d MRC Savoir H., MVRC Pages Event Equipment H. Producer. Easy Job. Winner at 1800m, HKJC Tung Lung Chau H.
Waitui Belle. Winner at 1600m, 2d ARC Lindauer Special Reserve Blanc de Blancs H., Avondale JC Frank Sing Barristers & Solicitors H., 3d Waikato RC Eric Davies 90th Birthday H. Producer. Herstory. 3 wins-1 at 2-at 1200m, 1400m, A$177,880, VRC Chicquita H., MRC Dennis Hanrahan H., 2d MRC Mypunter.com Join Today H.
Senso (Street Sense). 7 wins-1 at 2-from 1000m to 1800m, A$498,001, to 2017-18, WATC Westspeed 2YO P., Westspeed 3YO P.-twice, 2d WATC Perth S., L, Belmont Classic, L.
Brockade. 5 wins from 1300m to 1700m, A$91,500, VATC Wave King H., 2d MRC Lobster Cave P., Plush H., Lucrative H., 4th VATC Blue Diamond Prelude (c&g), Gr.3. Dancing Elegance. 3 wins from 1400m to 1800m, SAJC Schweppes H., Schweppes Boxing Day H., Schweppes Tonic H.
Espiritu (Danasinga). 7 wins to 1200m, A$268,850, BRC Ashgrove Cricket Centenary H., Channel Seven H., Coca-Cola Amatil H., 2d BRC Falvelon H., L.